Silicon Valley has the highest per capita income in the nation. Yet, 10% of our neighbors and their children need some sort of nutritional assistance to get by on a monthly basis. This is not right. Steve Mun Group helps homeowners buy and sell in the Rivermark and other Communities, so we feel passionately that it is our responsibility to help people who live among us that may be going through difficult times and need help. We benefit, so we want to do our part to help. 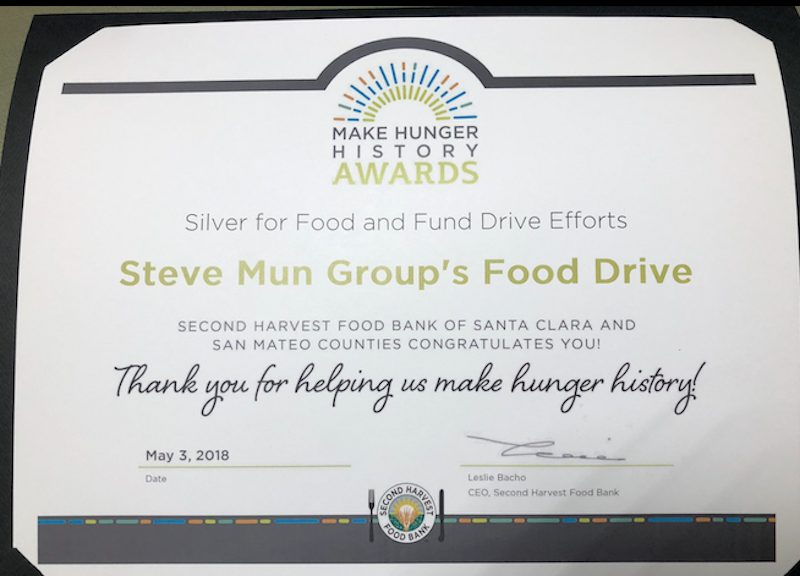 We run the Steve Mun Group's Food Drive to help our philanthropy partner, the Second Harvest Food Bank (founded in 1974) in their heroic effort to help provide 16 Million meals in 2015 and more in the coming years. We will reach out to you during these drives, so please contribute if you are able. We will come and drop off bags and pick them up for your convenience. You can contribute food or money. Each dollar you contribute equals two meals or 2.4 lbs. of food. 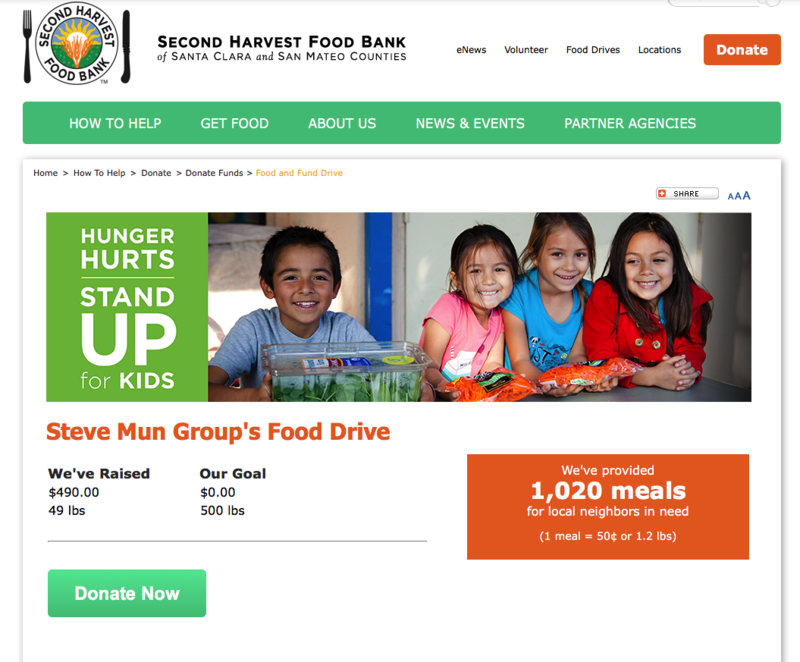 Please help Second Harvest Food Bank help provide nutritional assistance to those less fortunate than us. 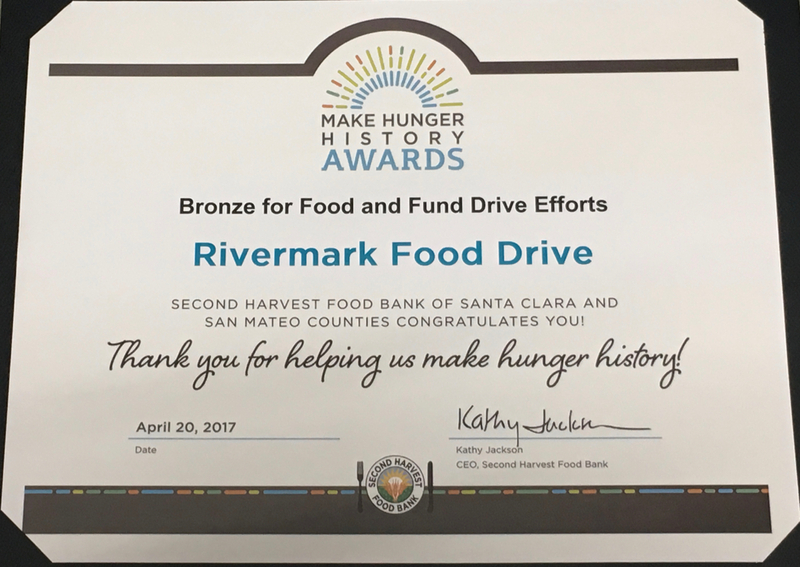 Our First Food Drive was quite successful and we were able to raise 540 lbs of food which was enough to provide 450 meals. We were proud of our first effort. 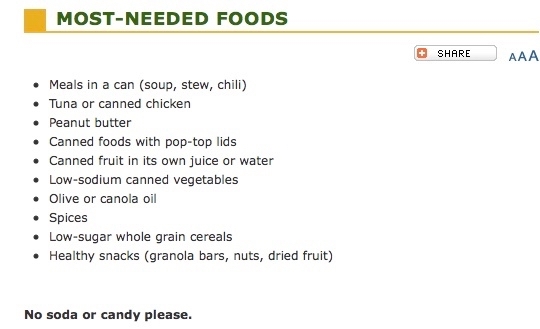 Please join us in our future food drives. And of course, if you have any real estate questions, contact us by any method listed at the bottom of the page. 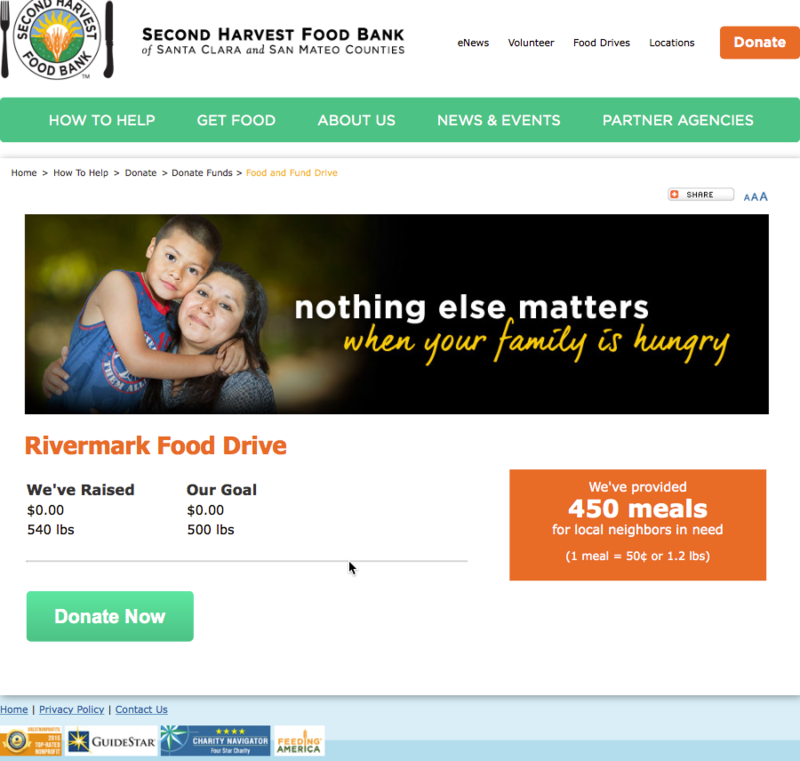 This year we were able to more than double our goal of 500 lbs. People seem to be more able to donate cash than food, which is fine. The cash donations represent 2.4 lbs. per dollar. Thanks to all of those who contributed. Your donations matter to those who did not go to bed hungry. We look forward to your help next year as well. Updated: 26th April, 2019 5:57 AM.